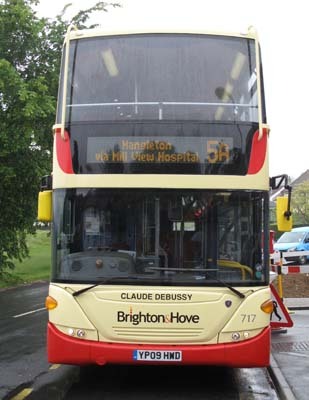 Connections with Brighton and Hove : One of the most celebrated composers to be associated with Sussex was the Frenchman Claude Debussy. He wrote his masterpiece, La Mer, while staying at the Grand Hotel in Eastbourne, and was almost certainly influenced by the sea view from the hotel. Debussy started the composition in 1903 in France but finished it two years later in the then peaceful surroundings of the south coast resort. 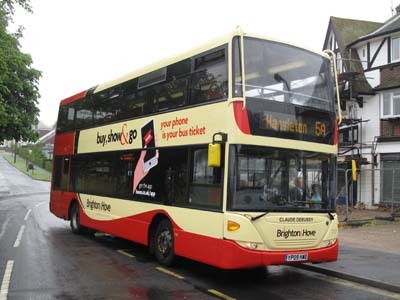 He said the sea there behaved with typical British politeness. It is widely regarded today as one of the greatest orchestral pieces of the last century although it was given a cool reception when first performed. Born in 1862, Debussy showed his musical talent early and became a top pianist while still studying in Paris. He is often described as an impressionist composer although he did not like that term himself. His brilliance as a composer was recognised by the public but there was criticism of his chaotic love life. 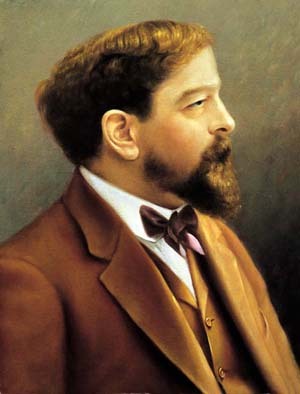 Debussy died of cancer during the bombardment of Paris in 1918 and it was not possible for there to be a public funeral. 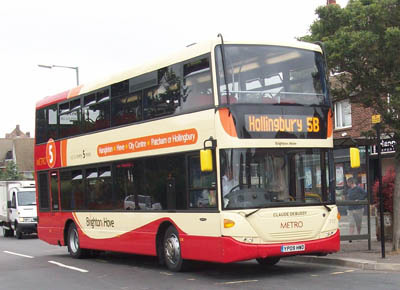 717 Scania Omnicity - carried name since delivery in June 2009 on Metro 5. 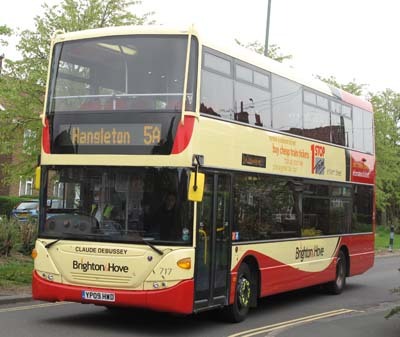 Bus repainted in standard livery May 2013. 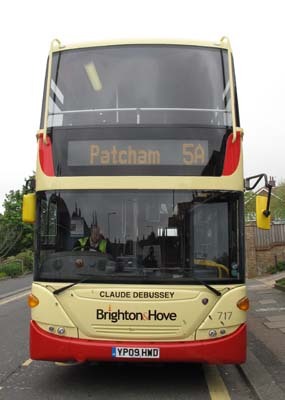 Name spelt wrong as Claude Debussey, corrected in June 2013. 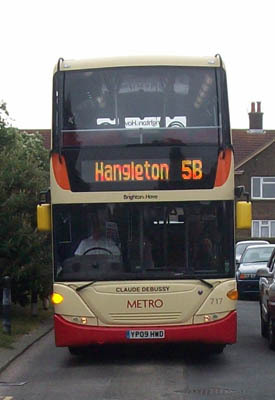 Bus sold in August 2016.